Natto is one of the popular ingredients which is often used in Japan. 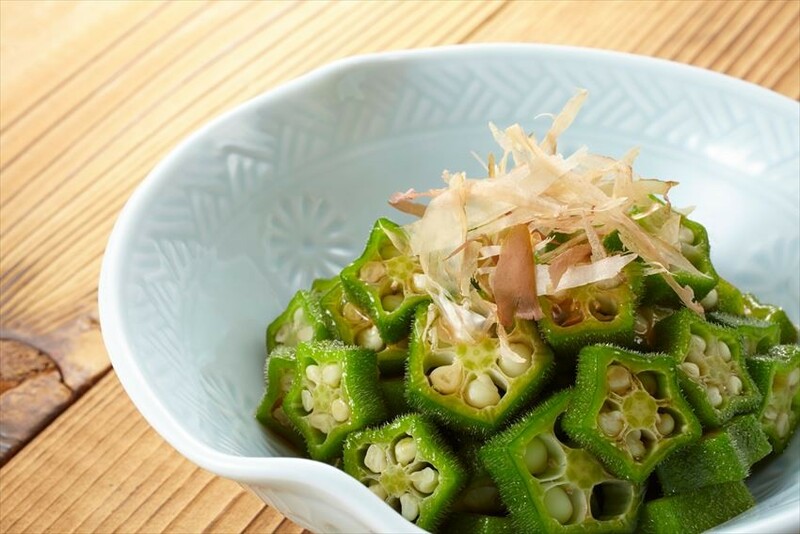 It is then followed by ingredients such as Tororo and Okra, and it is hard for Malaysian to imagine that food with sticky ingredients are so often served at a Japanese dining table. Such ingredients are not good in appearance and yet is hard to eat since it is so sticky, therefore may be most of you will wonder why Japanese like to eat it? Let's introduce the reasons and effects of each stick ingredient. 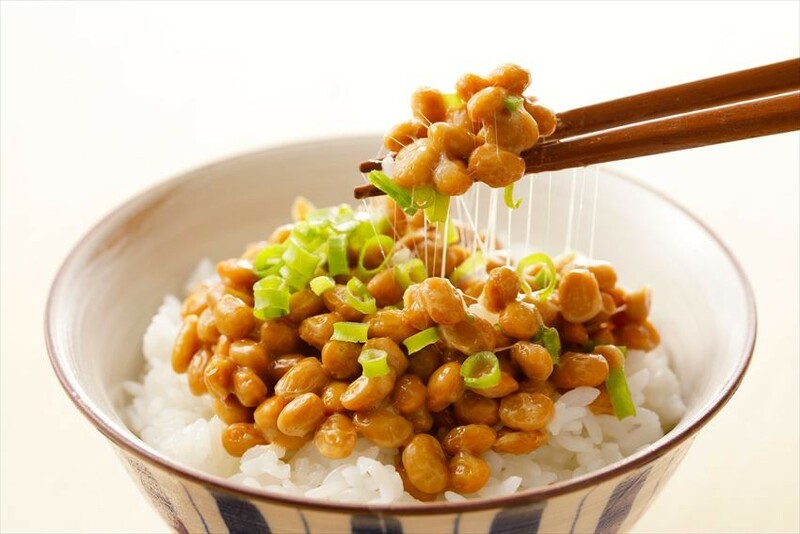 Natto is fermented soy which is rich in arginine and dietary fiber that stimulates the secretion of growth hormone. It also contains vitamin E, and therefore it is said to have anti-oxidant effects and anti-aging effects. Besides, the soy is said to have an effect similar to female hormones, which are important for women in Isoflavones. Even though in some areas of Japan such as the Kansai region, Natto is not liked by the residents, but in supermarkets, etc, the area of the natto section is larger than what you imagine. A variety of seasonings, from large to small size natto, sweet and soy sauce natto, etc. 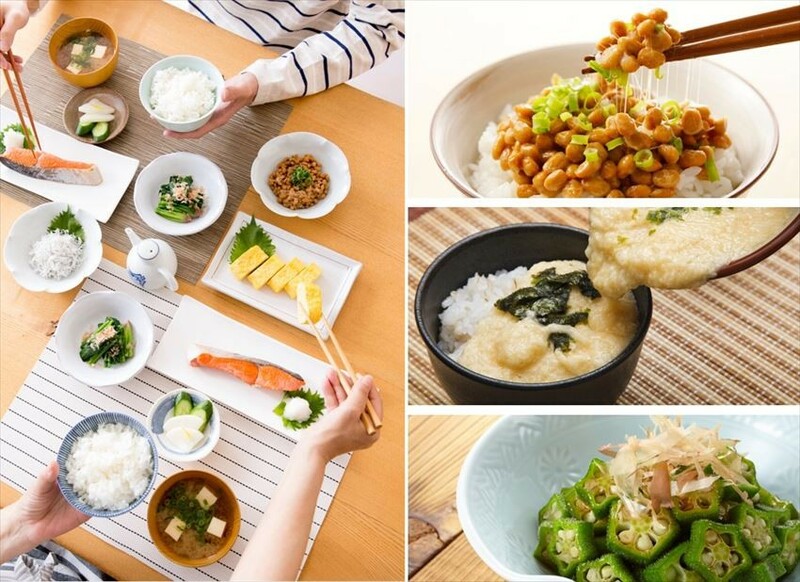 Moreover, since natto is sold at from only 100 yen for 3 packs, it is a perfect side dishes that can be eaten every day. The high nutritional value and reasonable price of natto may be the reason why Japanese like to eat it so much. The most valuable nutrition of Nagaimo is saponin. It is said to have the effect to activate natural killer cells, antioxidative function, and to flush away the fat of blood in blood vessels. You can also cut it into pieces and eat it, however, it will be easier to be digested by grating it. 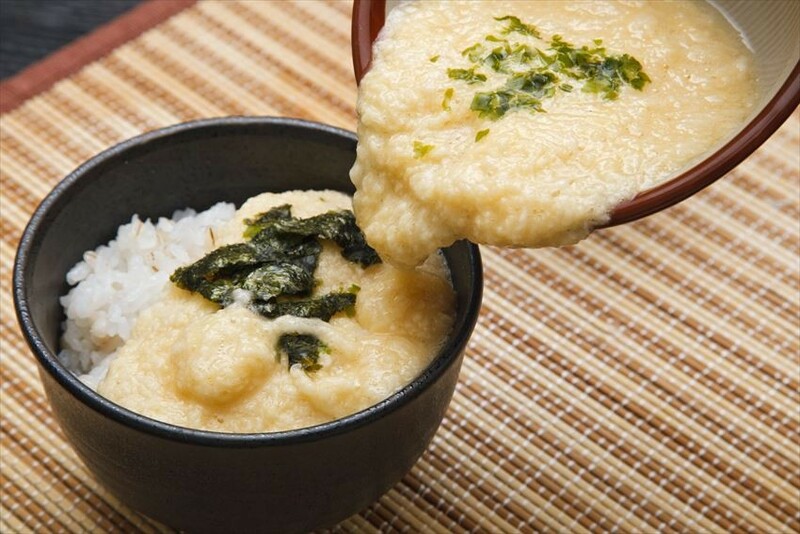 As shown in the picture above, the most eating method at home is topping the Tororo on the rice. There are also a wide variety of recipes in Japan such as topping it on soba noodles or eat with tuna sashimi. Okra is full of nutrition such as dietary fiber, calcium, potassium, vitamin A, vitamin B, etc. It also contains biotin which you only can find in Okra. It is said that it has the effect to convert lactic acid which is one of the fatigue substance, into carbohydrate again. Therefore, you can expect fatigue and muscle ache recovery effects by eating okra. 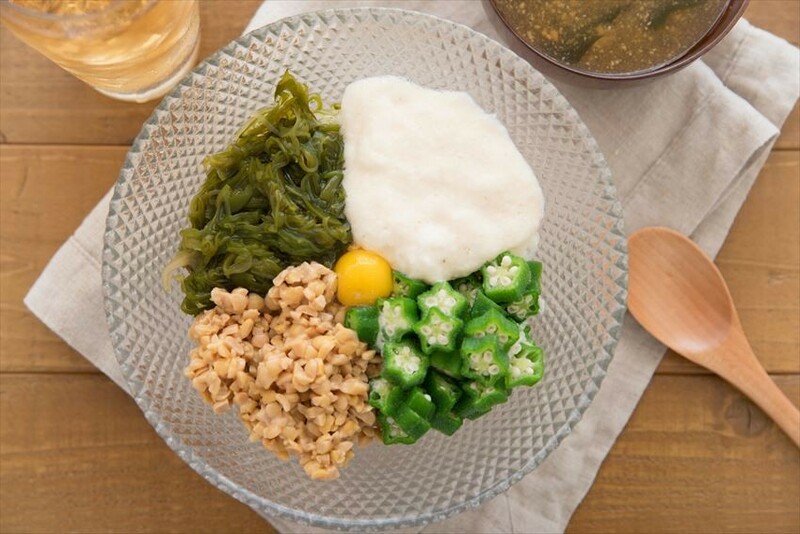 It is a nice and easy menu for a Japanese housewife who is having the difficulty of thinking of a menu every day because it can be served into a dishes that is colorful with a good appearance by just boiling and have soy sauce added. What is the common effect of Sticky ingredients? It protects the mucous membrane of the eye, improves dry eye, and protects the mucous membrane of the stomach to prevent gastritis and gastric ulcer. Since it also helps to prevent virus from entering body, it can prevent us from catch a cold also. Since it has the effect of stimulating protein degradation and absorption, it seems that okra can help us to use protein food as an energy source effectively. What do you think about the above-introduced food? It seems like the secret of Japanese’s good health and longevity may really rooted from the sticky ingredients and food, right?